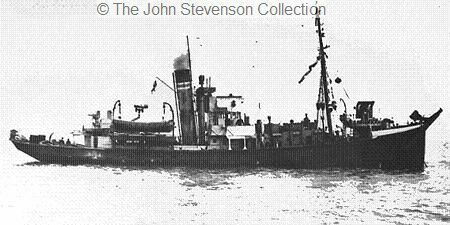 30.4.1915: Launched by Cook, Welton & Gemmell Ltd, Beverley (Yd.No.323) for The Reunion Steam Fishing Co Ltd (64/64), Grimsby as FLANDRE. 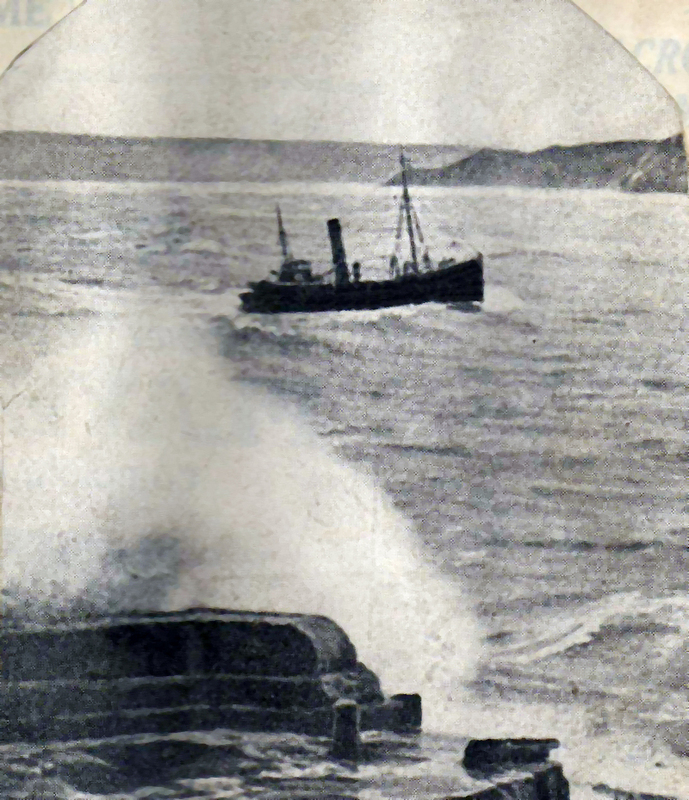 13.8.1915: Alick Black appointed manager. 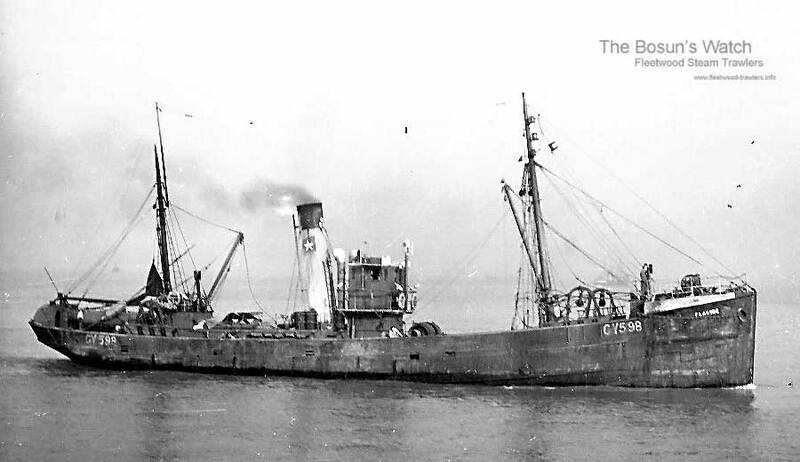 13.8.1915: Registered at Grimsby (GY598). 9.1915: Requisitioned for war service as a minesweeper (Ad.No.853). 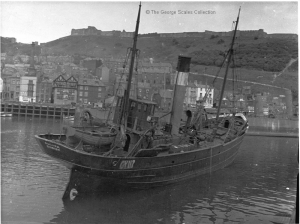 28.2.1916: Vessel mortgaged to George Jeffs, Grimsby for the sum of £5000 with interest at 6% (A). 28.10.1916: Probate granted to Sarah Ann Jeffs, Fred Birch Jeffs & Alice Madeline Jeffs all of Grimsby (joint mortgagees). 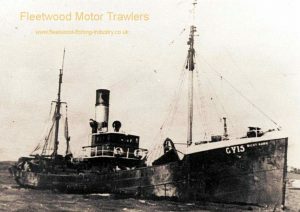 19.6.1917: Sold to The North Western Steam Fishing Co Ltd (64/64), Grimsby. 19.6.1917: Alick Black appointed manager. 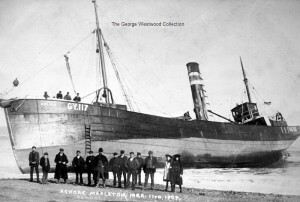 27.2.1918: Sold to The Rushworth Steam Fishing Co Ltd, Grimsby. 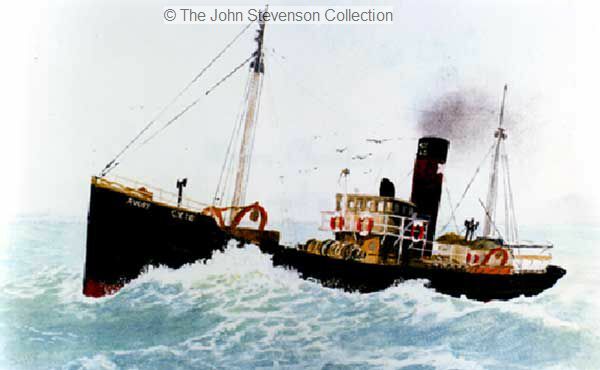 27.2.1918: John Edward Rushworth appointed manager. 5.3.1918: Vessel mortgaged (64/64) to Barclays Bank Ltd, London (B). 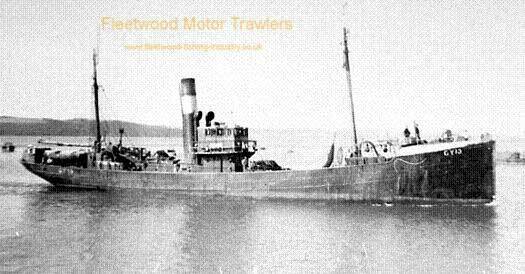 2.6.1919: John Edward Rushworth appointed manager. 26.6.1919: Sold to The Yarborough Steam Fishing Co Ltd, Grimsby. 26.6.1919: John Edward Rushworth appointed manager. 30.6.1919: Vessel mortgaged (64/64) to John Edward Rushworth, Grimsby for the sum of £8,000 with interest at 5% (C). 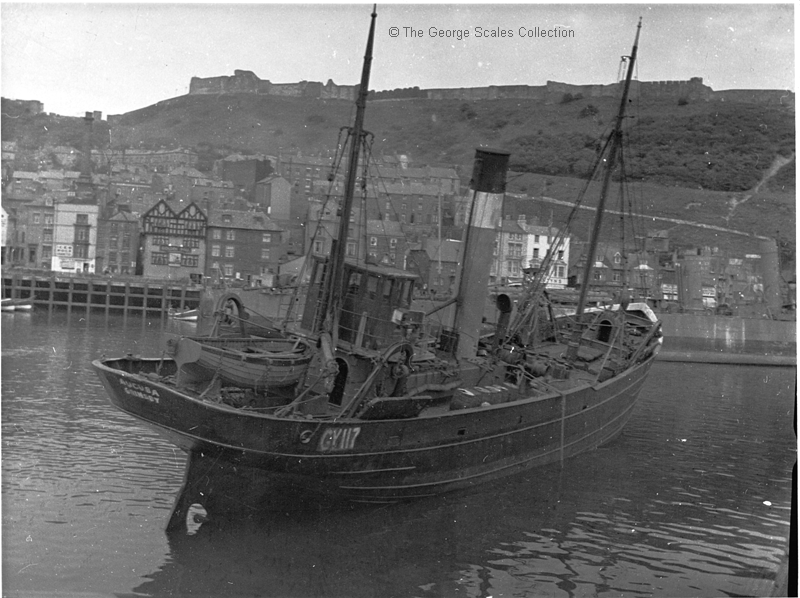 31.7.1924: Sold to South Western Steam Fishing Co Ltd (64/64), Grimsby. 1.8.1924: Sir Alec Black, Bart appointed manager. 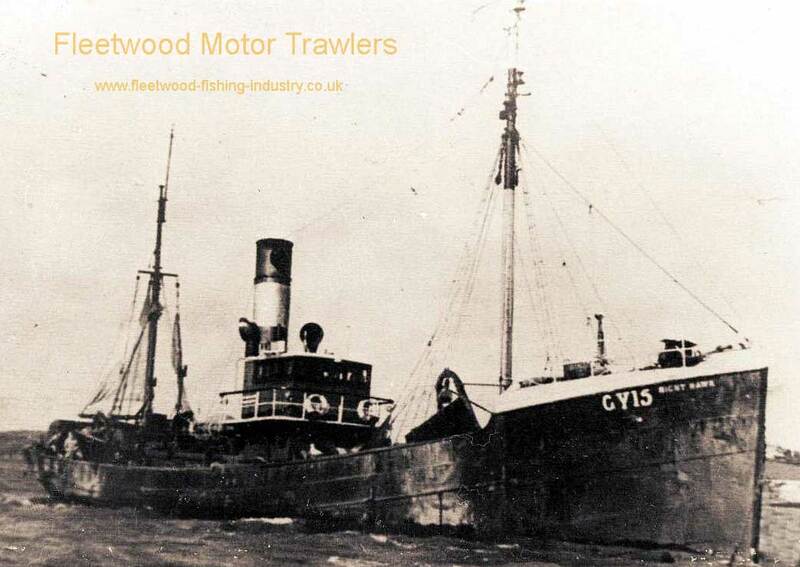 2.11.1925: Sold to Earl Steam Fishing Co Ltd (64/64), Grimsby. 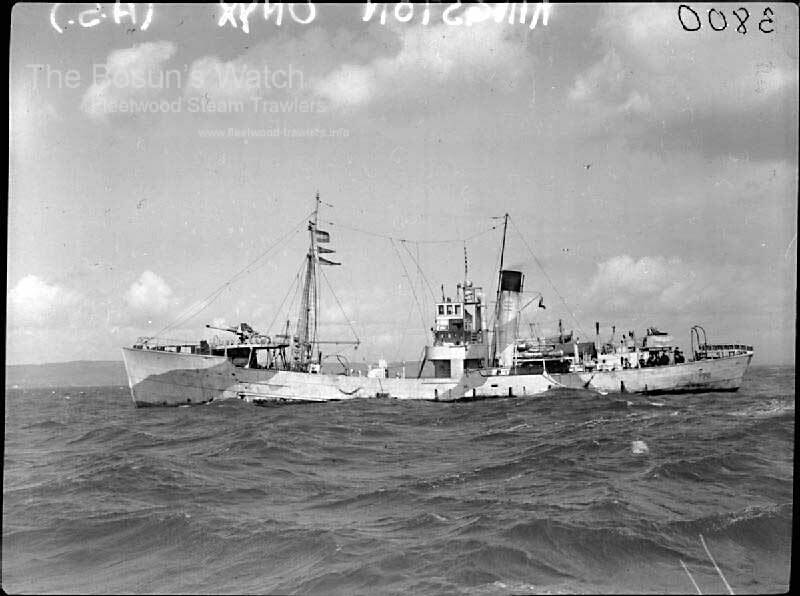 6.6.1940: Requisitioned for war service as an auxiliary patrol vessel (Hire rate £62.3.0d/month). 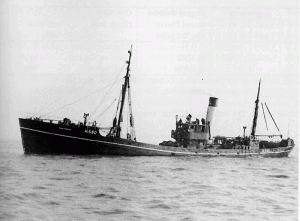 11.1941: Fitted out as a minesweeper (P. No. FY.1715). 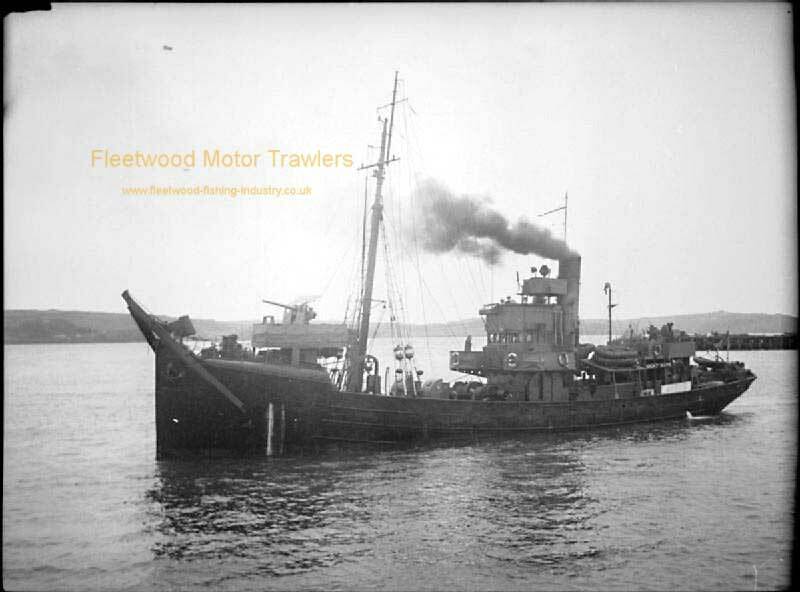 6.12.1944: Sold to Parkholme Trawlers Ltd (64/64), Fleetwood. 6.12.1944: Harvey Wilfred Wilson, Grimsby appointed manager. 12.12.1944: Vessel mortgaged (64/64) to National Provincial Bank Ltd, London (D). 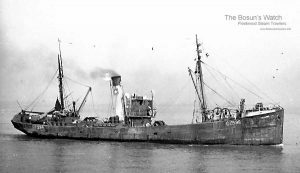 1958: Sold to Atlantic-Rhederei F. & W. Joch, Hamburg (MoT & CA letter GSP 1/1/02778 dated 25.3.1958). 11.4.1958: Arrived Hamburg for breaking up. 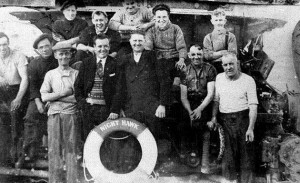 15.4.1958: Grimsby registry closed “… on sale to foreigners German subjects”. 27/07/2011: Page published. 7 updates since then. This entry was posted in Steam Trawlers, Steamers (Picture) and tagged Parkes, Parkholme Trawlers on July 27, 2011 by Fred Smith.